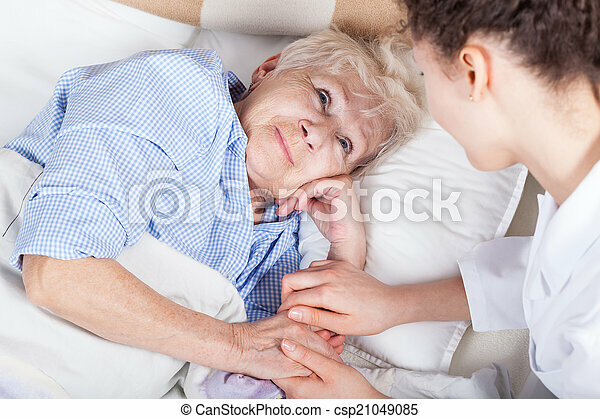 Elderly woman in bed and her nurse. 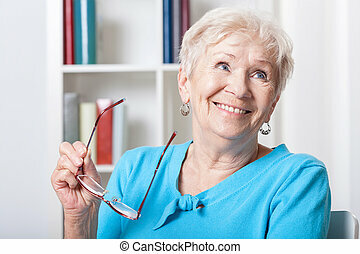 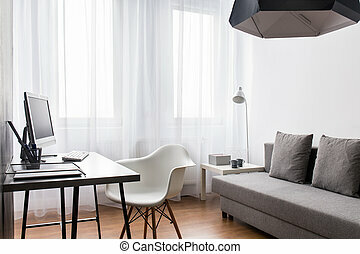 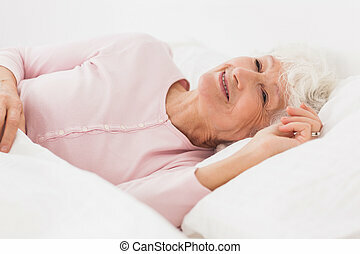 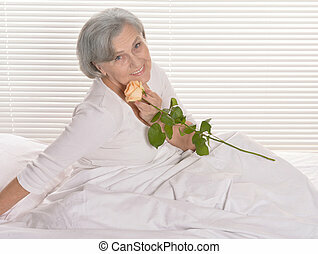 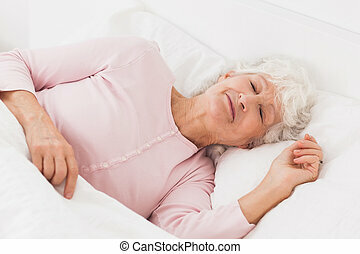 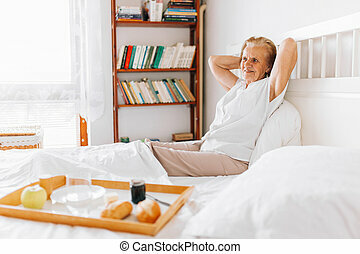 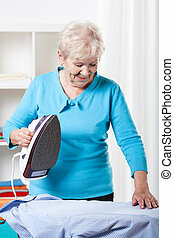 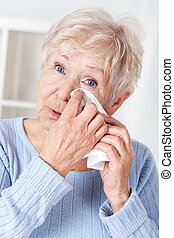 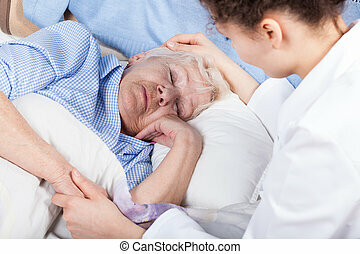 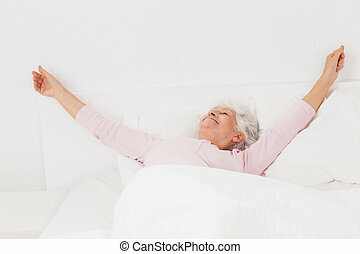 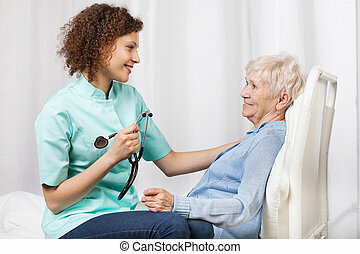 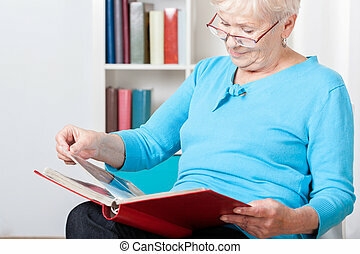 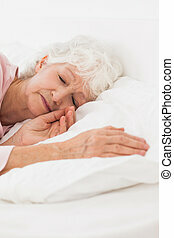 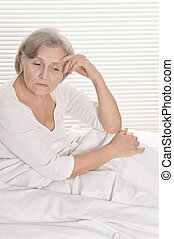 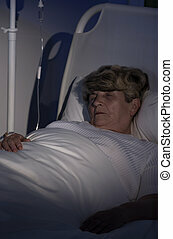 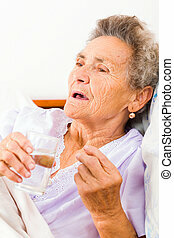 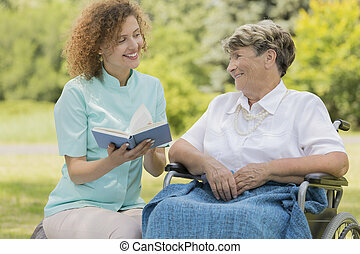 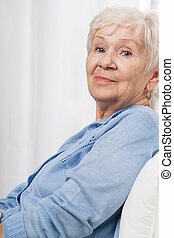 Medication given to elderly woman in bed. 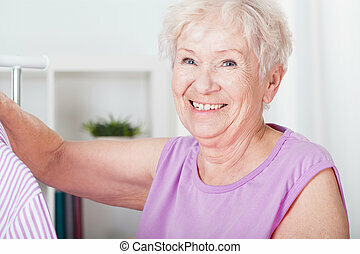 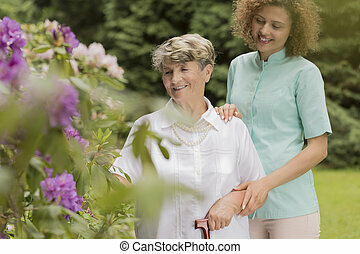 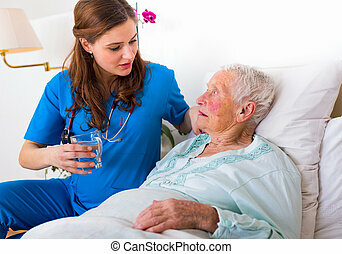 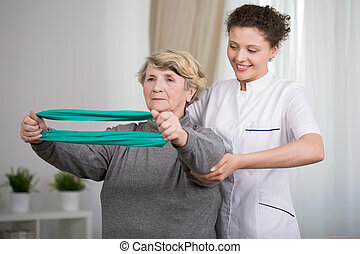 Kind caregiver bringing water to the thirsty sick elderly woman in bed. 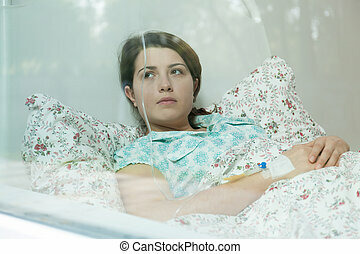 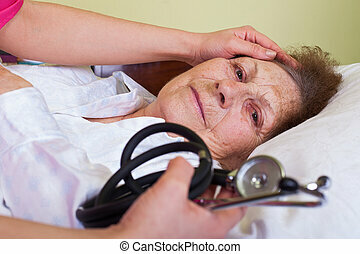 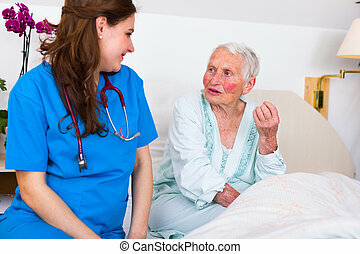 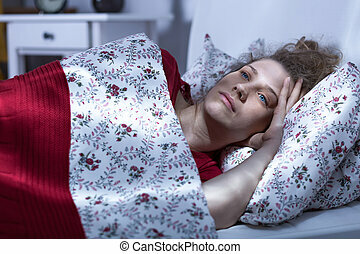 Patient nurse listening to elderly woman in bed in a nursing home.